Well at least Buffett laid off the politics. 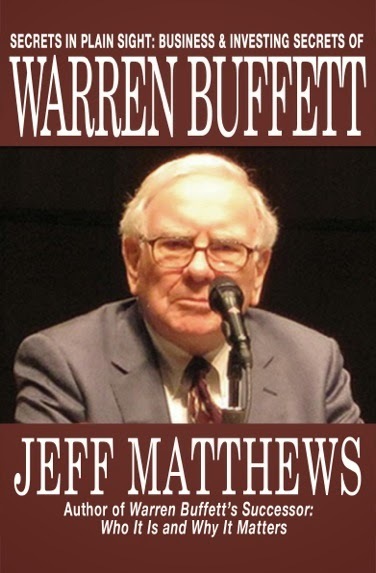 His 2011 letter, which is available here and should be read in its entirety (instead of via the thousands of recaps currently going up all over the Internet), is classic Buffett: a review of 2011 (busy), some self-flagellation (not much, mainly some bad bond purchases), props to Berkshire managers (and Brian Moynihan, of all people), lessons for anyone interested in the art of investing (pages 17-19), and the big headline news: Buffett finally has a successor approved by the Berkshire board (no doubt triggered by last year's Sokol Affair). Along the way there are plenty of good lines, in the Buffett fashion, and finally (after decades worth) no nagging wife-sort of jokes. That’s why Buffett got so rich in the first place: when it comes to investing, he’s strictly a mercenary. Do you not think that this warning comes as he may think that there is a chance the market will tank and he doesn't want people complaining about he not doing buybacks (since there will probably be better opportunities then)? It's interesting how Buffett talks about the strict financial discipline he uses when repurchasing Berkshire stock, but then when talking about IBM's buybacks he notes that they will spend the same amount regardless of the stock price. Seems inconsistent to me. "The Basic Choices for Investors and the One We Strongly Prefer"
I think I find more fault with the banks than the people (although no one is guilt free). Automobile insurance companies have never stopped asking for MVR's, loss history and credit scores. Mortgage originators and banks should never, ever have stopped asking for verifiable information. Obviously hindsight, but it would have been the easiest fix. Editor's Note: If you've been looking for your comment and wondering why it hadn't appeared, it was because of a glitch in Google Blogger. Our apologies.